Stock up on Sugar with SavingStar! 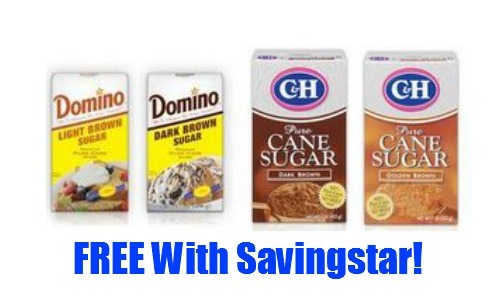 Through 3/1, get 100% back when you buy Domino or C&H Brown Sugar. This is a fun freebie, and it’s always nice to have sugar in the pantry for all your baking needs! This coupon expires on 3/1 and is good for (1) use only. Also, don’t miss the -$4/2 Dole frozen fruit ecoupon that they are offering! Perfect for smoothies!